This mask is hand made and painted with and antique style finish. 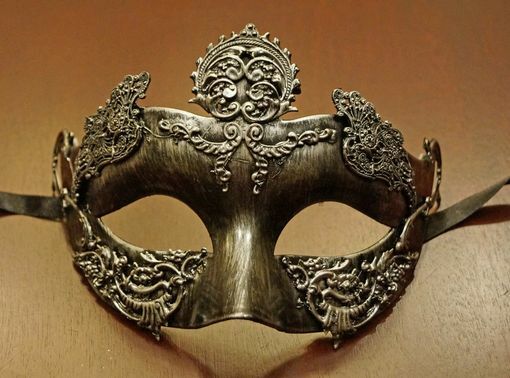 Mask is has laser cut metal accents and secures with black ribbon ties. Color silver.